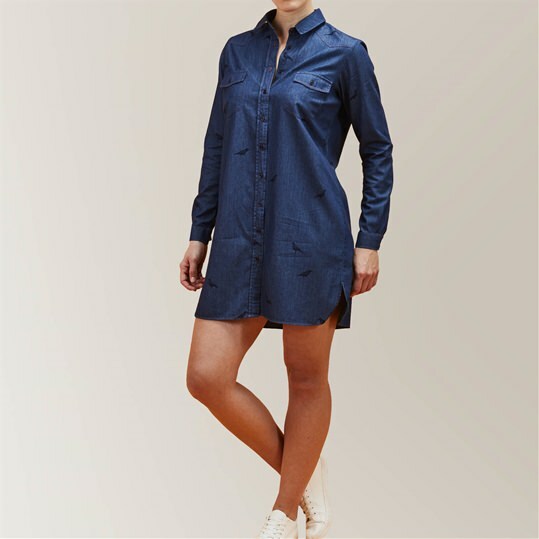 Womens patterned shirt dress by Gresham Blake. A relaxed fit with single cuff sleeves and button fastening. 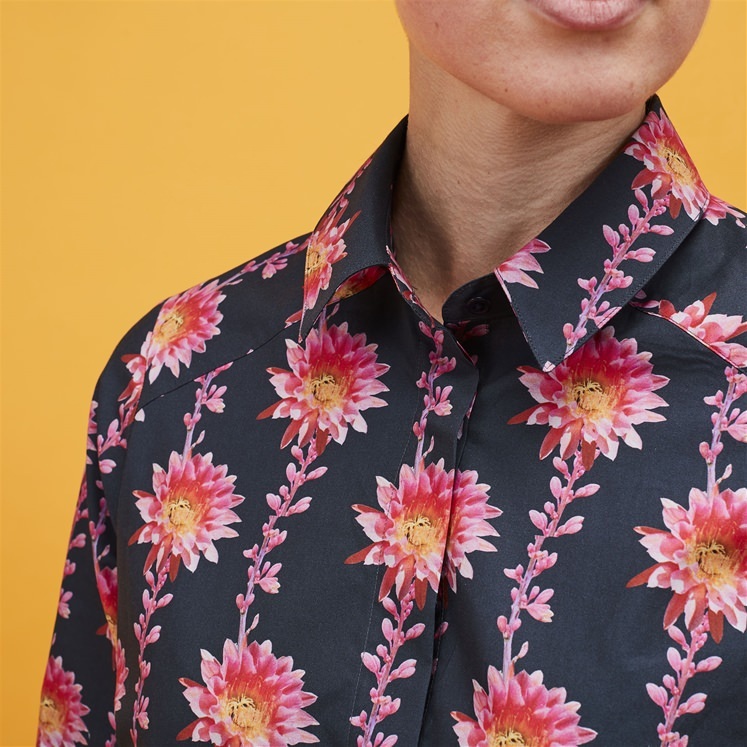 Black shirt dress with a bold and exotic floral print in pink.